In 2012, American rapper Kanye West was planning to release a compilation album featuring artists signed to his GOOD Music label. 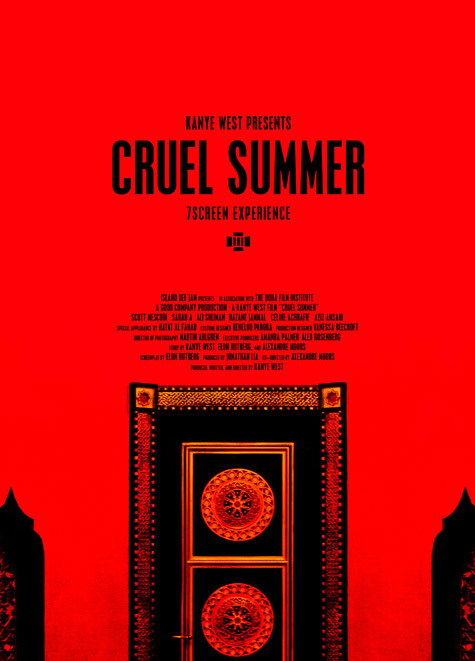 This album later revealed to be titled Cruel Summer, was also slated to have an accompanying film of the same name. 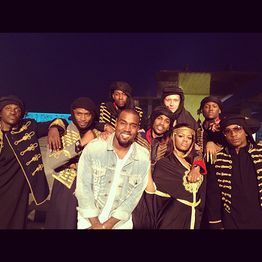 It was filmed exclusively in Doha, Qatar and featured GOOD Music artist Kid Cudi and Qatari actress Sarah A in the starring roles, with the rest of the GOOD Music family appearing in unknown supporting roles. 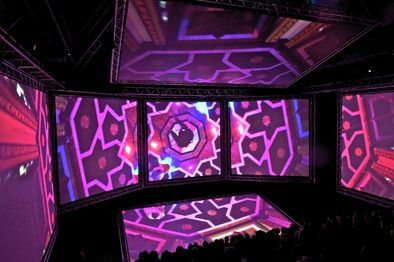 The movie was stated by West to be a seven-screen experience, with screens arranged to surround the audience in the movie's atmosphere. 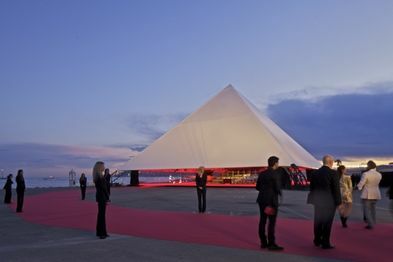 This unconventional screening style was displayed at the 2012 Cannes film festival, taking place inside a massive pyramid-like tent. Kid Cudi plays a car thief who falls in love with a blind Arabian princess. He must complete three challenges in order for her father to allow them to wed. The movie is said to have been loosely based on Arabian folk tales. The movie has never been re-screened or released on home media after its initial showing. 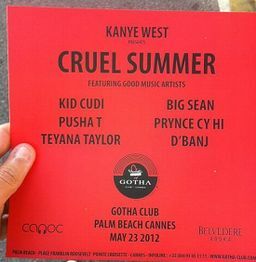 Since Kanye has moved on to other albums since then and is currently working on several projects, including a follow-up album to Cruel Summer, it is unlikely we will see anything from this project in the near future. In 2018, footage from the film was uploaded to YouTube, presumably from the original showing. A 2-minute long clip of the film, as shown at the festival. The exterior of the pyramid. The interior of the pyramid, showing all seven screens. A flier from the film festival, featuring several GOOD Music artists on the billing. A photo of the GOOD Music cast, taken in Qatar. ↑ 1.0 1.1 Wikipedia article for the film. ↑ Information on the film's premiere at Cannes. ↑ Site of the design studio who helped Kanye design the theater.